The City of Ashland, in coordination with the Rogue Valley Metropolitan Planning Organization (RVMPO), Rogue Valley Transit District (RVTD) and the Oregon Department of Transportation (ODOT), is in the process of updating the City's transportation system plan. 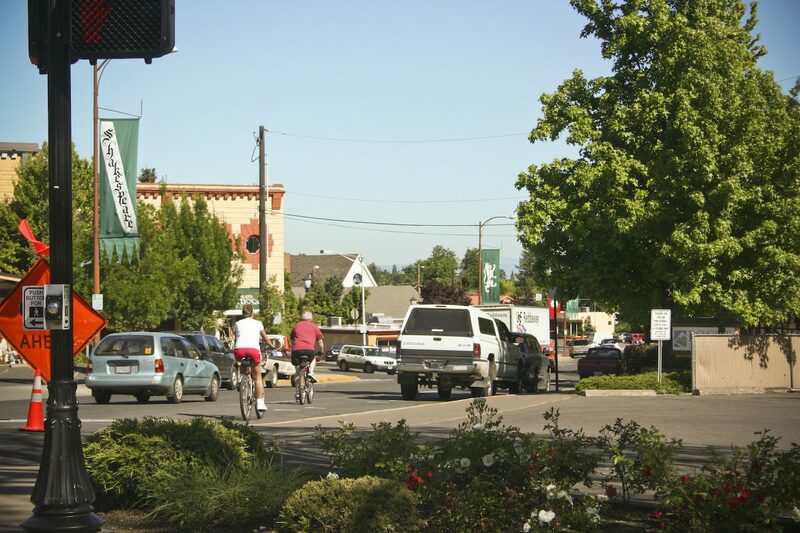 The primary purpose of the transportation system plan update is to identify near - and long - term projects that serve the Ashland community's active transportation needs from now through 2034. A key objective of the plan is to help Ashland further realize the goal of being a green transportation community as well as improve quality of life and support economic prosperity in Ashland. This project is expected to last slightly longer than a year starting in July and August of 2010 and extending through November 2011. To help you stay informed about upcoming opportunities to provide input and comments, please subscribe to this website. By subscribing you will receive notifications when new project information has been posted or updated. Useful information on this website includes latest news, meetings, documents, and schedule. You can also provide your comments and thoughts to the project team by emailing the project team by using the form at the bottom of the page. Finally, there will be a travel survey posted on this website in late September 2010, which will be important for you to fill out. Collecting information from you about your travel in Ashland will be a valuable contribution to the process of identifying Ashland's transportation needs. Subscribe to this website to be notified when the travel survey becomes available.